There is nothing like sailing on New York Harbor. You will enjoy breathtaking views of the Statue of Liberty, Ellis Island and the New York City skyline. 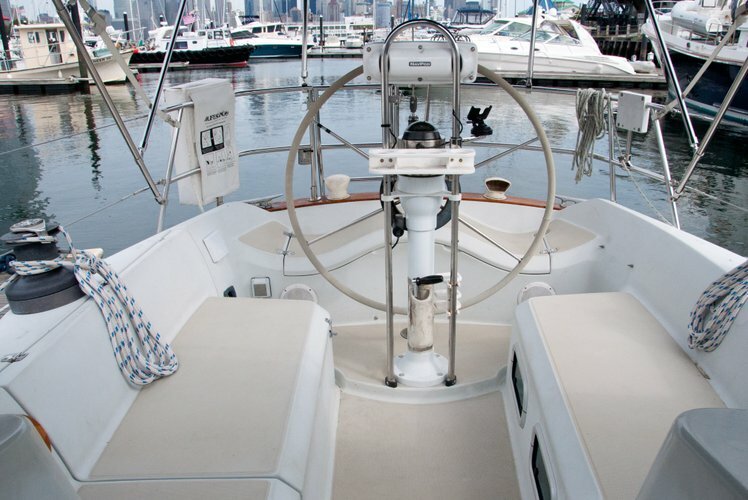 Sit back and relax, or work the sails and take the helm. 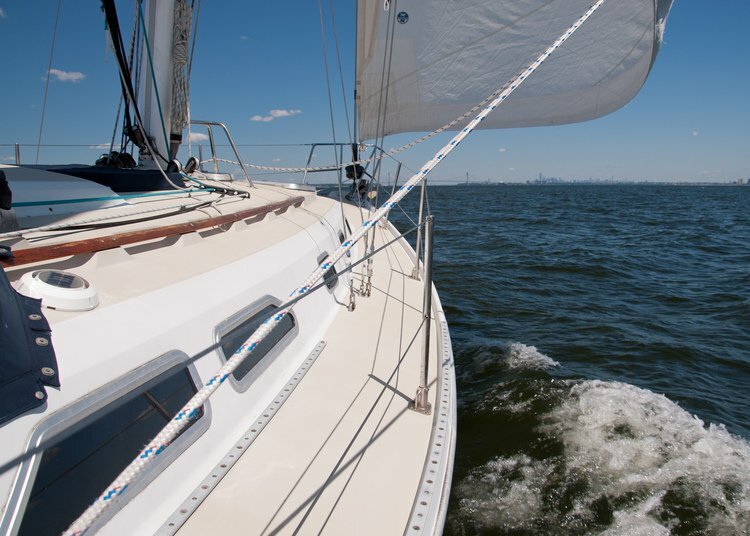 Whether you're an experienced sailor, or trying it for the first time, you will have an unforgettable experience. DARK STAR is a 38 foot Ericson sloop designed by Bruce King and built in 1988. She has been beautifully maintained and upgraded with safety and comfort in mind. The large cockpit and spacious decks provide plenty of room for relaxing while the crew tends the sails. 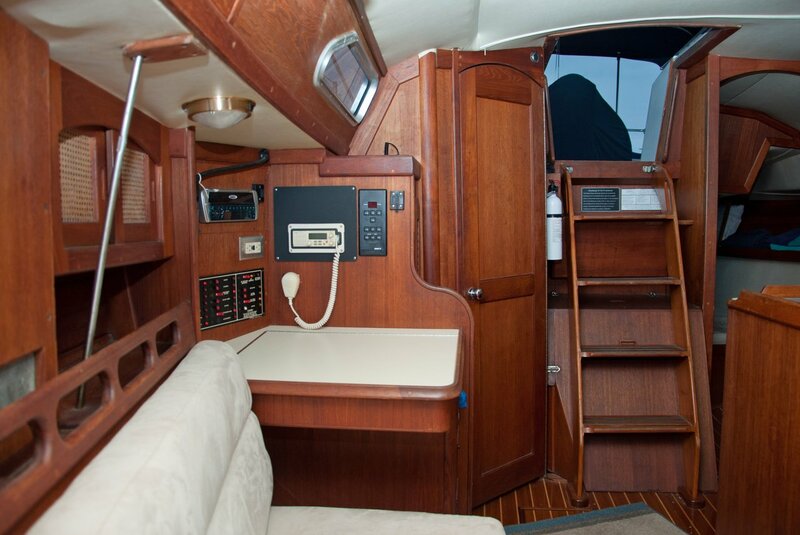 Down below is a complete galley with refrigeration, seating for six at the dinette and a fully enclosed head. 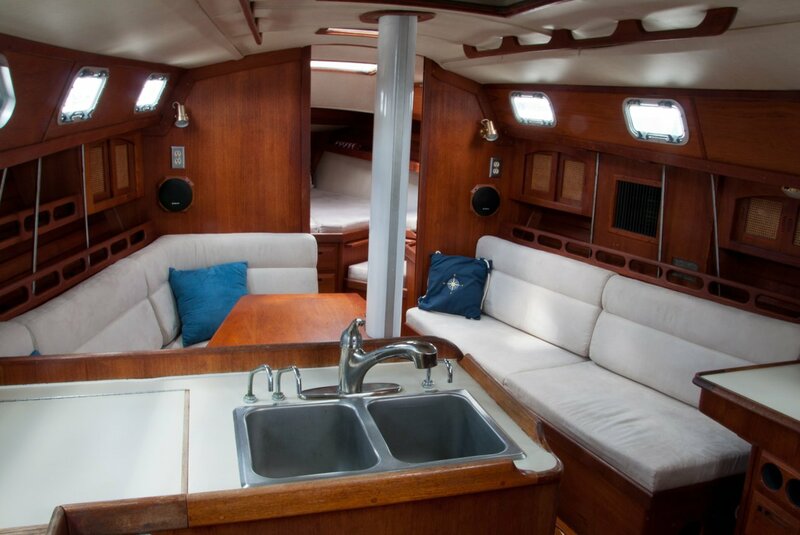 Two private staterooms and berths in the saloon provide comfortable overnight accommodations. Captain Dave has been sailing the waters of the northeast from New England to the Chesapeake Bay for nearly 40 years. 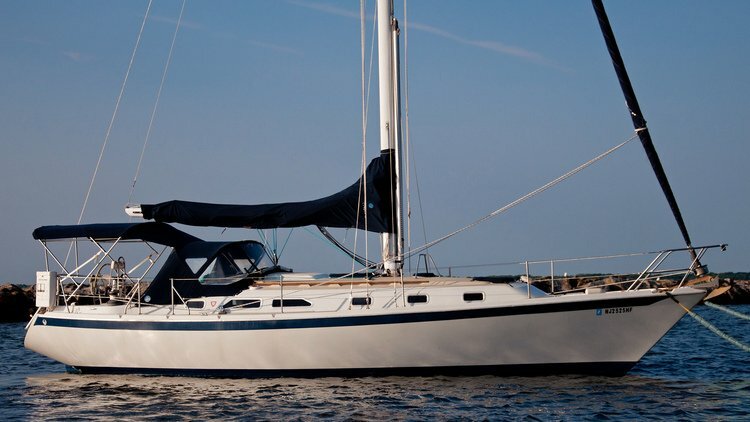 His sailing resume also includes experience racing and chartering in Europe, South Africa and the Caribbean. 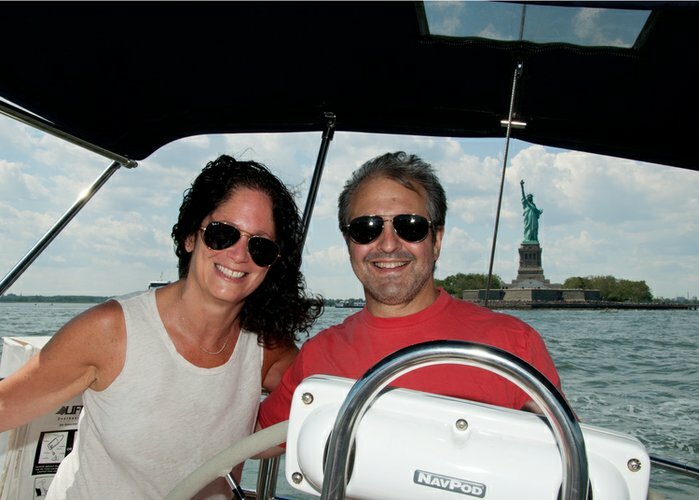 Dave is a US Coast Guard licensed captain and a certified sailing instructor with the American Sailing Association. Dave was a great captain! 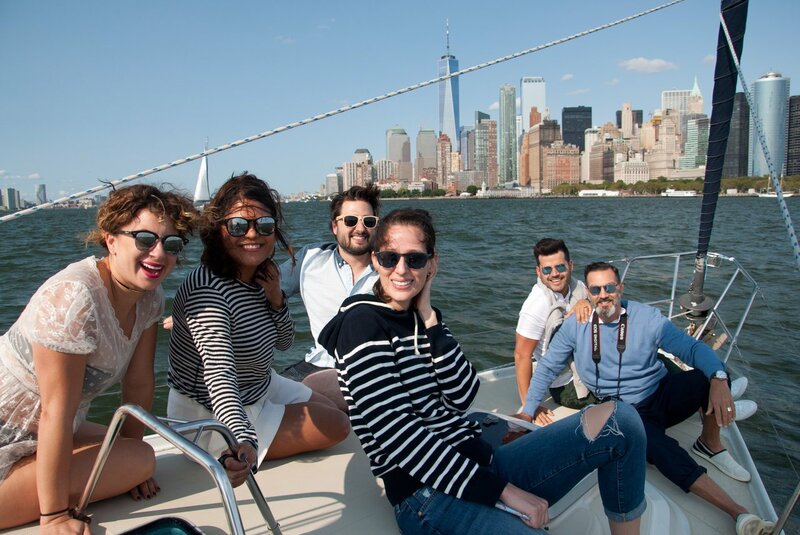 We had a professional photo shoot on board and he made everything super easy and incredibly fun for all of us! We really enjoyed our time with him and how communicative he was. It was a great experience for all of us and I highly recommend it to anyone! Fantastic trip and I couldn’t ask for anything more. 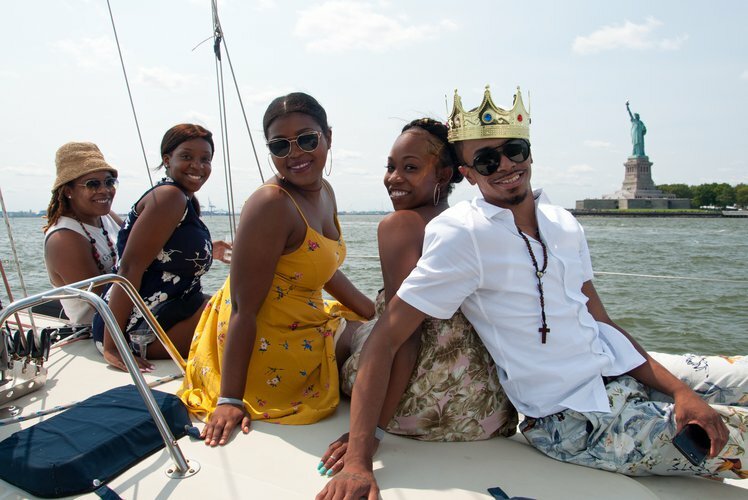 The sailboat was immaculate. To top it off, captain Dave was knowledgeable, accommodating, friendly, and sociable. If you are looking for a day out on the water, stop your search and contact Captain Dave. The overall experience was amazing. The boat is very well taken care of and clean. Captain Dave is very nice and accommodating. The all group thank you for this beautiful experience ! Captain Dave was great and so was the boat! We had a beautiful day and saw some amazing sights. I'm a local New Yorker and had never even seen my city so beautiful! Dave did a great job answering my questions before during and after! We got a little wetter than we bargained for but all made for a great trip and memories! I wanted to do a surprise for my boyfriend for his birthday, neither of us has ever sailed before. Dave was amazing and it made our experience all the better! We had a blast! Leading up to the trip, Dave was very attentive and able to answer any questions or arrangements I might have needed. We were celebrating my brothers 30thand ofcourse he was fashionably late lol. Dave was understanding and accommodating the whole way. The boat and views of the water were captivating and very enjoyable. Thanks again Dave for aiding in making my brothers special day Special! We are definitely going to repeat the experience! Simply amazing, whether you want to entertain your visiting family, or impress your girlfriend! Capitan Dave was the best in helping me to surprise my girlfriend with the proposal on the boat. Our sail was amazing and beautiful. Captain Dave made it enjoyable and unforgettable. The boat was spotlessly clean, cozy and romantic. 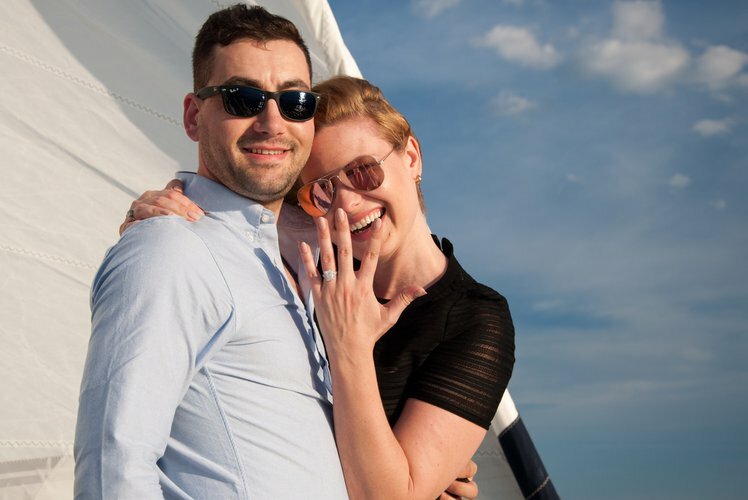 We had the best time of our lives. Wonderful, wonderful day. Dave is great captain! 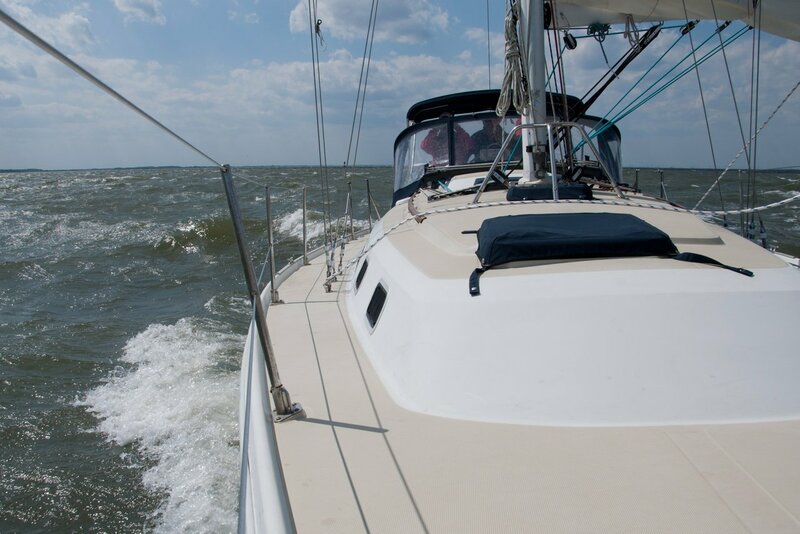 Captain Dave has been sailing the waters of the northeast from New England to the Chesapeake Bay for nearly 40 years. 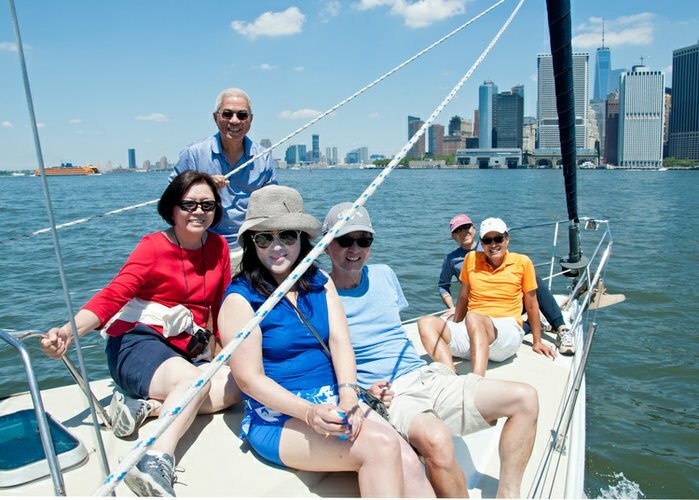 Most of that has been spent cruising the beautiful New Jersey coast, exciting New York Harbor and the bucolic Long Island Sound. 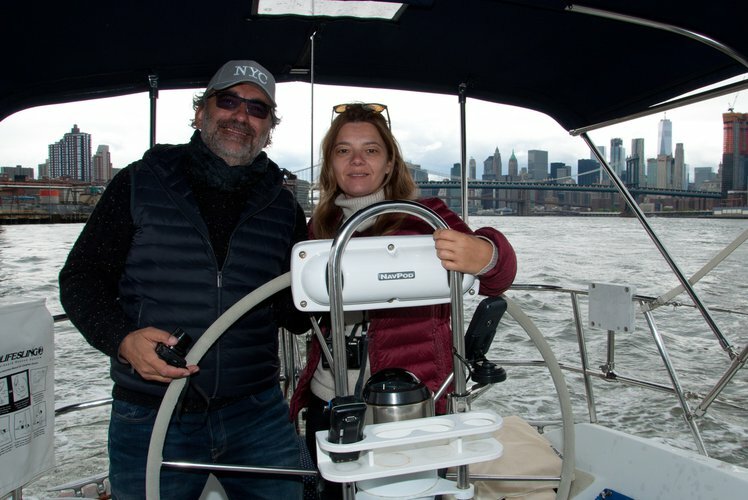 His sailing resume also includes experience racing and chartering in Europe, South Africa and the Caribbean. Dave is a US Coast Guard licensed captain and a certified sailing instructor with the American Sailing Association. If weather is bad, how do refunds work? Can I cruise for 3 hours? Get in touch with us at concierge@sailo.com. We will help you with customizing the duration of your booking. Do you have supplies for food and drinks? Yes, the boat owner has on board serving utensils, flatware, dishes, plastic wine glasses, etc. Real glassware is not desirable for safety reasons. Do you pick up in Manhattan? No, this boat rental cannot pickup in Manhattan. However, drop-offs in Manhattan can be arranged. Can we fish on the boat? Yes, fishing is available onboard this boat rental. 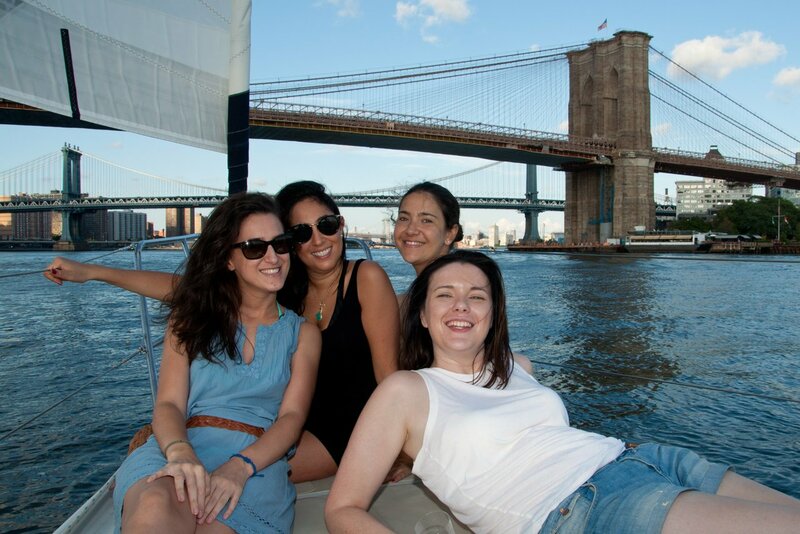 Does the boat rental price include gratuity?